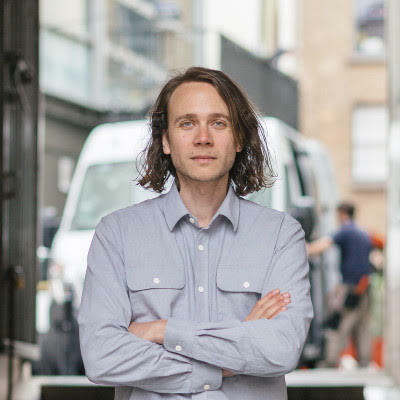 Sven Anderson is an artist working between Ireland and the US since 2001. Anderson’s work explores the act of listening within diverse architectural, physical, social, and emotional contexts. His practice is a discursive platform that operates through artistic intervention, academic publication, participatory processes, and interactive design. Anderson’s installations and performances are parasitical, feeding off of details of the immediate built environment, the bodies of the audience, and fragments of local history and ecology to suggest emergent, site-specific forms. His ongoing public art project The Manual for Acoustic Planning and Urban Sound Design received the European Soundscape Award issued by the European Environmental Agency (EEA) in 2014. Through this work and other projects, Anderson creates active interfaces between artists, architects, urban planners, and policymakers, identifying spaces for sustainable research and production. Keywords: Urban acoustic planning; Sensory urbanism; Urban ambiances; Sound studies; Sensor networks; Ambient intelligence. Overview: Acoustic Territories in the Data City investigates the paradigm of acoustic territories within the contemporary regime of the data city. Intentionally amplifying latent tensions within the nascent field of urban acoustic planning, this research will evolve through a concise series of inter-dependent projects including sound installations, urban interventions, academic publications, and participatory project structures. Research Questions: This project is invested in probing the affiliation between two urban perspectives (the data-city and the sonic city) in order to further a discussion regarding the production of urban atmospheres, extracting an initial summary of this concept from the writing of philosopher Gernot Böhme. How might urban forms that draw from both sonic- and data-assemblages be incorporated within the design of specific public spaces, and as critical layers within larger urban development initiatives? Can these dynamic systems support the production of peripheral conditions that exceed existing urban forms to serve as “generators of atmosphere” (Böhme, 2014, p. 51), while also achieving more discrete spatial and social functions? Lastly, how can we introduce (and sustainably embed) these modes of design within professional communities focused on noise control in the context of urban acoustic planning? References: Böhme, Gernot. Urban Atmospheres: Charting New Directions for Architecture and Urban Planning. In Borch, Christian (Ed. ), Architectural Atmospheres: On the Experience and Politics of Architecture. Basel: Birkhauser, 2014. Sven Anderson and Heneghan Peng Architects. UK Holocaust Memorial International Design Competition. Honourable mention. London, 2017. Sven Anderson and Office for Subversive Architecture. Albert Avenue Underpass Per Cent for Art Commission. Shortlisted proposal. Bray, 2017. Sven Anderson. Vibrant Forms: Reconsidering the Built Environment Through Sound. Dublin: The National College of Art and Design, 2018. Developed and teaching second year module for students in schools of Visual Culture, Fine Art and Education at NCAD. The module descriptor is as follows: Vibrant Forms explores contemporary sonic arts practice as a means of re-evaluating the built environment, introducing tactics that probe architecture, public space, and urban experience from an aural perspective. Each session will evolve through lectures, discussions, and listening sessions that employ sound to challenge the ocularcentric perspectives that dominate the majority of discourse within contemporary art and design. The course will review sound installation practices both in the context of contemporary art galleries and biennales, as well as within more sustained permanent urban artistic interventions. It will cite curatorial approaches to sound alongside critical texts that navigate the emergent canon of sound art, familiarising students with the key practitioners in this field. Allowing time to stray from its core enquiry to pursue a variety of sonic tangents, each sessions will return to a focus on the relationship between sound and space. It will underscore its intent by allowing interjections from other disciplines such as architectural theory, urban design, physics, and environmental engineering. Students will develop an understanding of how discursive sound art practices intersect with these other fields, as well as with other strands of contemporary artistic production – from conceptual art to participatory art, from public art to new media art. Sven Anderson, Karl Burke, and Mark Garry. Listening and Legacy. Dublin: Dublin School of Creative Arts / DIT, 2016. Developed and taught a week-long module on sound art and listening practices with Karl Burke and Mark Garry, for fine arts students at the Dublin School of Creative Arts at DIT. Sven Anderson and Dr. Owen Doonan. Exhibition Design (Art 342). Los Angeles: California State University, Northridge, 2016 – 2017. Developed and taught exhibition design course with Dr. Owen Doonan focused working with third and fourth year students from various disciplines, focused on researching and producing the exhibition ‘Stone Sounds’, presented at the CSUN Art Galleries in 2017. Sven Anderson (Curator). Balance. Dublin: Continuous Drift, 2017. Featuring works by Peter Cusack, Moritz Fehr, Marco Fusinato, Jennie Guy, Christina Kubisch, and Hans Rosenström. Sven Anderson. GOLDEN PRECIOUS FIELDS UNFOLD in A Name Unmade. Eight-channel video installation with customised hardware and stereo sound. Navan: Solstice Arts Centre, 2017. Sven Anderson. GOLDEN PRECIOUS FIELDS UNFOLD in Songs of Peace. Four-channel video installation with customised hardware and stereo sound. Paris: Centre Culturel Irlandais, 2018. Sven Anderson, Erkan Akliman, and Owen Doonan. Stone Sounds. Los Angeles: CSUN Art Galleries, 2017. Sven Anderson and The Office for Subversive Architecture. Masking. Dublin: Multiple locations, 2018. ‘A Visibiliity Matrix’ is supported by the Arts Council of Ireland’s through the Making Great Art Award. ‘Masking’ is supported by the Arts Council of Ireland through the Engaging with Architecture Scheme. “Sound and Urban Spaces.“ In Sounding Out the Space: An International Conference on the Spatiality of Sound, Dublin, November 2 – 4, 2017. Sven Anderson. 2017. “New Strategies for Sound in the Public Realm.“ In Sounding Out the Space: An International Conference on the Spatiality of Sound, Dublin, November 2 – 4, 2017. Sven Anderson, “Continuous Drift” (presentation and guided walk, Sounding Out the Space, Dublin Institute of Technology / Dublin, November 3, 2017).